Jimmy who played a hard-core militant in his debut film Maachis won laurels of approval from film critics for his sensitive portrayal of Captain Aman who falls in love with a local Kasmiri girl Adaa. Jimmy speaks on his growth as an actor from Maachis to Yahaan, forthcoming releases and interest in astrology. "Watch out, after Yahaan he is going to be Bollywood's heartthrob!" is what your co-star Minissha had to say about you. What do you have to say to that? Do you think Yahaan will change your life? I think it was very sweet of Minissha to say that. I think whatever she felt at that time was very genuine as it was her first film. So definitely one has a lot of feelings for the movie and the people one is working with. People had respected the roles that I had played from the very beginning of my career. After doing Yahaan the respect has doubled for me as an actor. Most of the films I had done before had a lot of actors in it. However for Munnabhai MBBS I had got good reviews, a film critic had written that my few scenes in the film proved that nobody had tapped my full potential as an actor. With Yahaan I got the chance to prove my talent as an actor as it was a solo lead and the character was very strong. How did you prepare for the role? I had to do no preparations for this role as my director Shoojit Sircar was very clear about what he wanted from this character. In 1996 there was an article in The Indian Express of an army captain falling in love with a local Kashmiri girl and the problems arising from it. It's a taboo as the army is targeted over there, so the consequences are disastrous. The idea was picked up and fictionalised in the movie. Shoojit meticulously directed me on everything- on how I should hold my gun, walk, take out the cigarette and light it- my character became very realistic. I had no problem sporting a moustache for the film as it blended in well with my character. 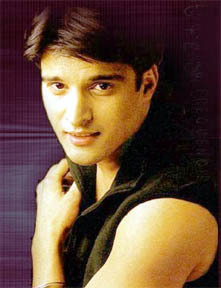 The viewers didn't see me as Jimmy Sheirgill in the movie but as an army captain. I like working with new directors as talented as Shoojit because they come up with something unique. We shot at dangerous areas, even hid the camera, even cellphones didn't work there. Often we didn't have the chance for second takes. You have visited Kashmir eight times. When you were in Kashmir shooting for Yahaan did you see the same place in a different light? When I was in school I would do a lot of mountaineering, so I had been there a couple of times. I started shooting a film in Kashmir 2001 onwards. Unfortunately due to the volatile situation in Kashmir the film could not be completed and was put on hold. After three years I got a chance to go there again to do Agni Pankh. I made many good friends in Kashmir. For Yahaan, Shoojit didn't want us to shoot in the tourist spots, as it was the story of a girl from downtown Srinagar. Local girls from there have very small wishes in life- going to the Dal Lake to have an ice-cream or to the cinema hall to watch a movie are rare excitements for them as they aren't even allowed to move about freely. Before Yahaan I never knew that the backwaters of the Dal Lake existed. We also shot scenes in downtown Srinagar, which were known to be pretty volatile. So I did see Kashmir in a different light after doing Yahaan. Shoojit Sircar said in an interview that the tea scene was taken from a real life incident of a jawan falling in love with a Kashmiri local girl. I think it was the most beautiful scene in the whole film. What was it like shooting the tea scene? Which was your favourite scene in the movie? The memory that straightaway comes to my mind while doing the tea scene is that it was under zero degrees temperature in December. We started shooting that scene from 10 pm at night and when we completed it, it was 1:30 am. Even with my jacket on I was freezing. My favourite scene however is when Aada and I have run away from Shakeel's hideout and we are so tired that we have to spend the night somewhere. When we are resting together Adda very innocently asks me about life in my hometown Pune- if bullets fly there, if girls wear jeans there and if it snows there. The vulnerability of Adaa is brought out so beautifully that it brings tears to my eyes. The director especially in that scene has brought out so poignantly what Kashmir is missing from the rest of India. Throughout the shooting of Mohabbatein you would update your wife on whatever happened except for the story because you wanted her to enjoy the film. Did you do the same with Yahaan? What does your wife say of the film? For Mohabbatein Yash Chopra had wanted me not to reveal the plot to anyone. So I made these weird stories about the film to my family. However my wife knew the story of Yahaan and had watched the film before its release. She loved it. How do you think you have evolved as an actor from your debut film Maachis to Yahaan? My performance in Yahaan would not be possible had I not come from Maachis to the 14 films that I have done. I learnt something from each and every role I played and every director I worked with. Shoojit had always reminded me that I didn't have much dialogue in Yahaan. I was supposed to make the other characters talk and then maybe say one line. In most of the scenes I say very less but portray through my eyes and subtle facial expressions even in the action sequences. Many people were sceptical on whether I could do an action film so Yahaan I think was a very balanced film with a very good balance between a subtle romantic performance and action performance. I have always said that I wished that Yahaanwas my debut film. I have got amazing reviews from people saying that this kind of performance is just given in Hollywood where you are not shouting out lines but artistically expressing through facial nuances. I give all the credit to Shoojit Sircar because he had planned the character like that. What was it like playing the unrequited lover in Silsilay? The director of Silsilay, Khalid, explained my character to me which was of a nice guy who was a unrequited lover of Anushka (Riya Sen) and he could see that she was suffering while in a relationship with Nikhil (Ashmit Patel) but could not do much about it. He could not visualize anyone other than me as the silent lover. Do tell me about your forthcoming films called Yaraa Naal Bahara(Punjabi film) by Manmohan Singh and Bollywood thriller Khaafa. Khaafa is a film in which I play a police officer. It's not a run-of-the-mill kind of thriller that you see. There is a twist almost every ten minutes. The suspect changes frequently. I am narrating the film as a cop, talking seriously about my experiences of the case that I am solving. My voice over is what is blending the film together. Seeing the visuals and then hearing the voice over will make the audiences sit up and sometimes even with a smile on their faces. Yaraa Naal Bahara is complete already. It's being released by Yashraj Films worldwide. Two of Manmohan Singh's movies have been blockbusters in Punjab as well as overseas. In the film I'm a young boy from the Punjabi University. It's a romantic film which explores the lives of the youth in Punjab and the relationship with their parents. Punjabi families will usually encourage their children to study and even go to the extent of buying them bikes and cars as gifts. But when it comes to a boy and girl choosing their partner it is generally disallowed and left to the parents. This is what the film is about. Being a Punjabi I felt it was a duty to do a Punjabi film. I had also lost my link with overseas for a while but withYaraa Naal Bahara I think my link with the overseas audience will be re-established. Do you think adding an extra 'i' to your name has brought you good luck? When I was promoting Haasil, Sanjay Jumani who is a top numerologist had spoken to me over a radio show. He had asked me to add an extra 'i' to my surname, which was then 'Shergill'. When I was doing a show for Sahara he asked me if I had made the change in my name. The changed name was on the poster but he wanted the name to be changed on my bank account and passport as well. I'm in the process of doing that. Name spelt in a certain way gives certain vibrations. Astrology does give me peace of mind. Trying to change my life according to astrology has worked to my benefit. My star sign is Sagittarian. What do you do during your free time? Reading the scripts, which come to me, take up most of my time. I spend most of my free time with my wife, son and parents. Otherwise I work out and watch films.